Winnie & Walter Sending Cheer card. Happy Thanksgiving to all my American and Canadian friends all over the world! 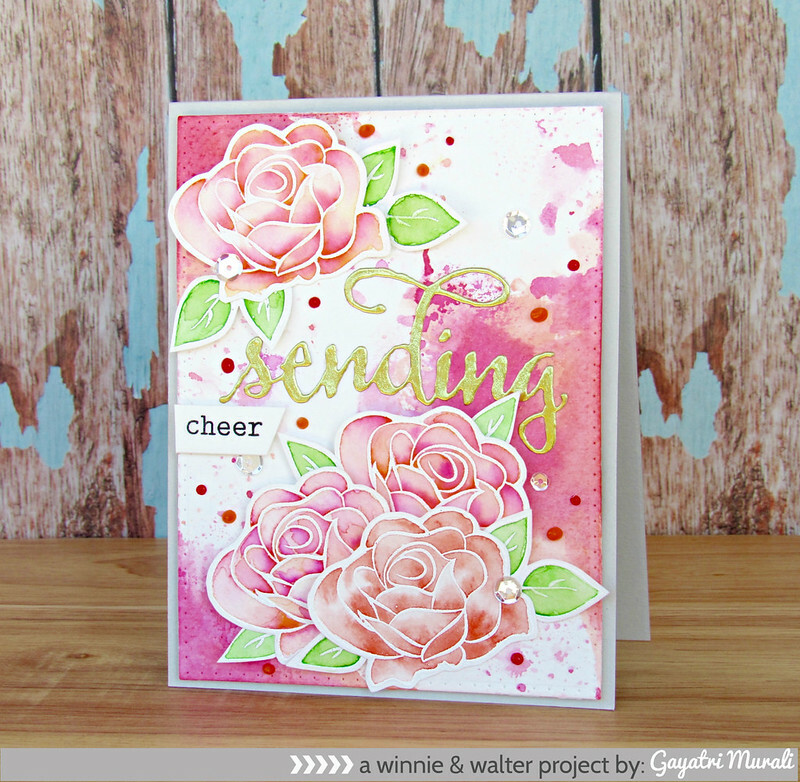 I am here to share a card I made using Winnie & Walter’s In Bloom: Julie’s Roses stamp set. This is a new stamp set and it is free with purchase of $35 or more on Black Friday Sale! There is more details later in the post. But first here is my card. 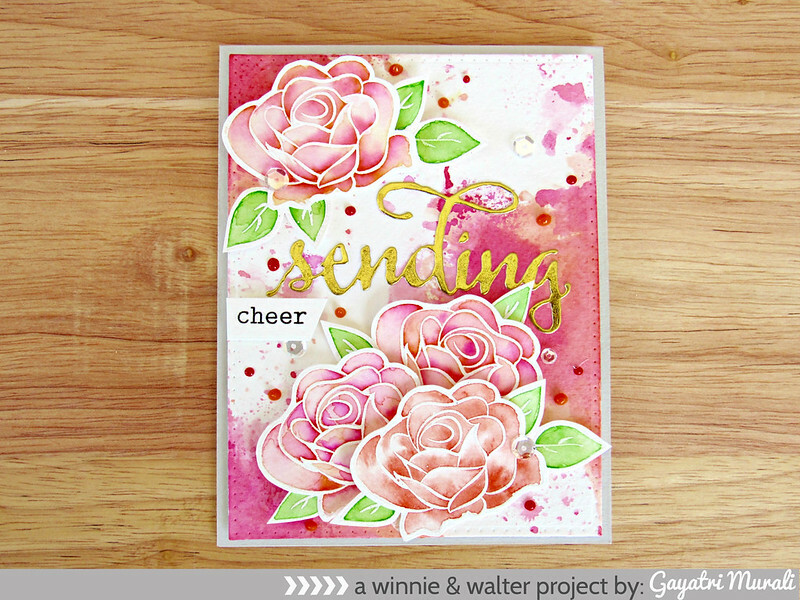 //embedr.flickr.com/assets/client-code.jsI white heat embossed a few roses and leaves from the stamp set and watercoloured them using Zig Clean brush pens and Gansai Tambi watercolour as well. Then I hand cut them all. For the background I die cut a watercolour panel using the largest rectangle die from Essential: Katherine Cutaway. I then smooshed distress inks Ripe Persimmon and Picked Raspberry. //embedr.flickr.com/assets/client-code.jsSentiment is from The Big, the Bold and Greetings cutaway which I die cut using gold foil cardstock. I adhered the sentiment on the centre of the watercolour wash panel. Then I clustered and glued down the roses and leaves. Finally I added the smaller sentiment from The Big, the Bold and Greetings stamp set stamped on a strip of white cardstock. I adhered this panel on a light grey card base. Embellished with Tonic Nuvo Crystal drops and Sparkly Clear sequins. //embedr.flickr.com/assets/client-code.jsHere is the Thanksgiving sale details from Winnie & Walter. I am thankful to have all of you as friends. I am very very grateful to be part of the design teams and thankful for the owners and coordinator for having me on their teams. These are just a few I am thankful for this apart from having a wonderful supportive husband, beautiful well behaved smart children and a cute fluffy doggie. Truly blessed. Have a wonderful thanksgiving dinner and time with your family. 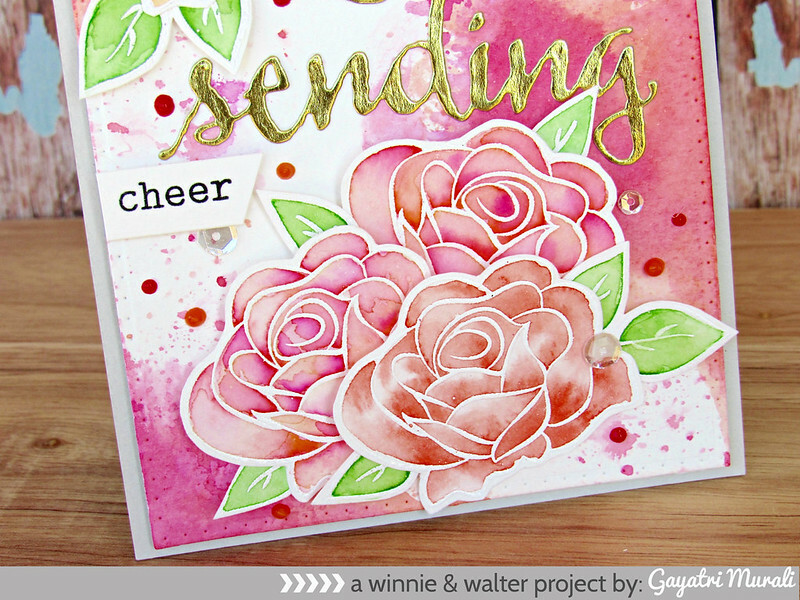 Gayatri this is stunning – one of my favourite cards I've seen anywhere this week -big thumbs up!